Netconcepts is officially Covario. 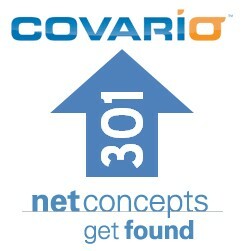 As of 7 a.m. CST today, my fellow Netconcepts search geeks and I are now Covarians. We’ve been acquired by Covario Inc., the leader in enterprise class search advertising software and services, headquartered in San Diego, CA. D3 for SEO (Data Driven Decisions). Love the focus here. 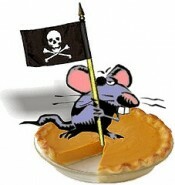 SEO theory & planning without implementation is a waste of time. But SEO implementation without data on which to base decisions is terrifying. This acquisition combines a solution that drives decisions (Covario’s Organic Search Insight) with a solution that implements decisions (Netconcepts’ GravityStream technology). Focus on brand advertising clients. Netconcepts’ client base has traditionally been ecommerce clients. The ability to service some of each will be refreshing, and enable us to broaden our vocabulary & skill sets into new industries and architectures. SEO services team. With a team twice the size, with tools and methods developed by two strong SEO services teams, and with two technology solutions at the ready to compliment the services we offer, I’m really looking forward to leaping forward as a combined team. Proximity to the beach. Well, maybe not the beach part since I dislike sun, sand and water. But 70 degrees sounds pretty darn good as I shovel out my driveway again in the dark and cold. Here’s to a new era for the new Madison Covario team, and cheers to our new mother ship in sunny San Diego, Covario! My snow shovel is staying put, as far as I know. Hey, how could I leave all this lovely snow?